With a breathtaking view of Florence below, the Antico Spedale del Bigallo is a medieval building of 13th century, which lies on a hill 5 km. SE of the city. Formerly it functioned as hospital for pilgrims and wayfarers and in the 16th century it became a monastery. 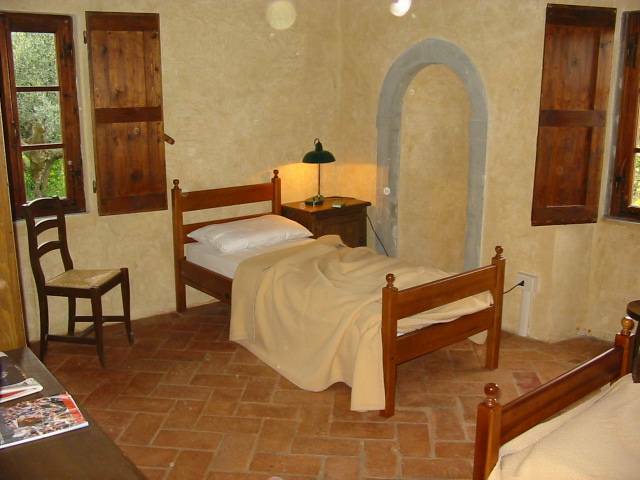 Today it is a modern and comfortable Youth Hostel with 40 beds housed in appealing medieval dormitories. 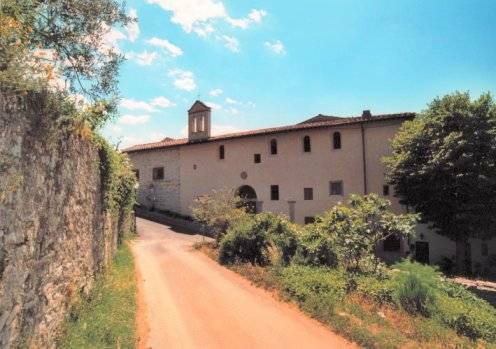 The Bigallo Youth Hostel welcomes third millennium pilgrims who yearn to live in an atmosphere outside of time and space and who enjoy both the beauty of nature and of the nearby art centres of Tuscany. The Antico Spedale del Bigallo also has a ceremony room with space for 100 seats, fit for public and private gatherings, such as weddings, anniversaries, concerts, art exhibitions, meetings and/or conferences. 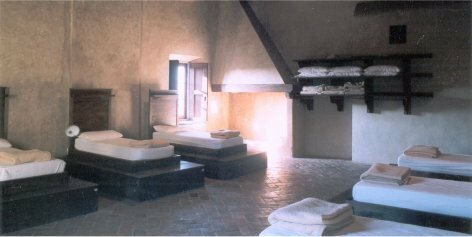 With a breathtaking view of Florence below, the Antico Spedale del Bigallo is a medieval building of 13th century, which lies on a hill 5 km. SE of the city. We are very close to the Chianti district, among vineyards and olive grooves, far from the traffic and the noise of the city. Public transportation: bus ATAF nr. 33 from Florence (i. e. at the railway station 'Santa Maria Novella', or in Piazza San Marco, till linestop "La Fonte". Last part on foot (about 15 min, uphill). 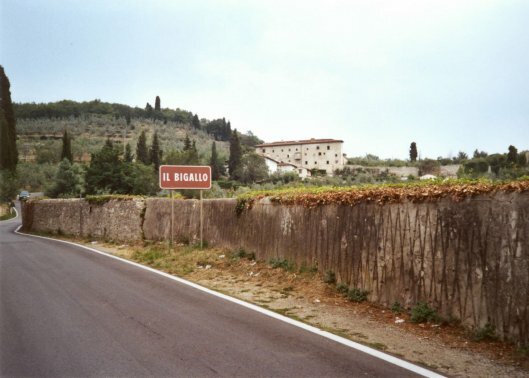 Private transportation: on highway A1 exit 'Firenze Sud', then second exit towards 'Bagno a Ripoli'; follow indication to Bagno a Ripoli and "Antico Spedale Bigallo". Follow the main road passing through Bagno a Ripoli and La Fonte (approx 3 Km); at a sharp curve go straight ahead and steep uphill towards Bigallo. 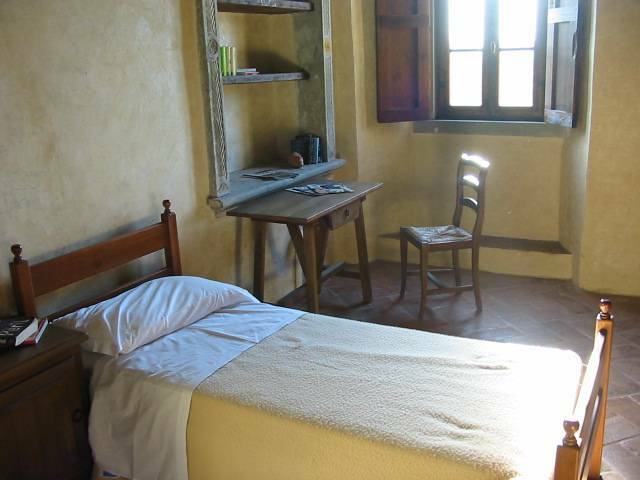 Nearest airport: Firenze Peretola, 20 km.